My husbands project at work is called The Grasshopper. 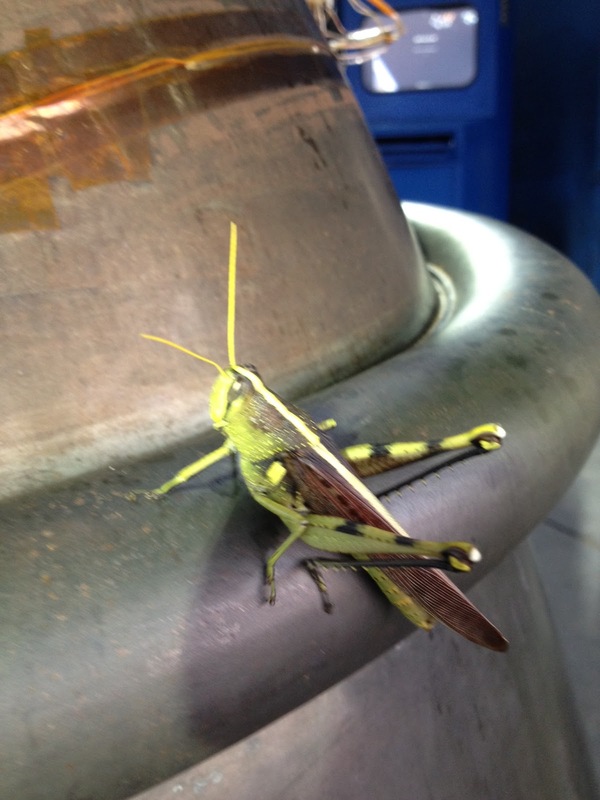 He took this photo of a grasshopper on The Grasshopper! How funny! That grasshopper looks gigantic! They have huge bugs and things out there! Creepy!